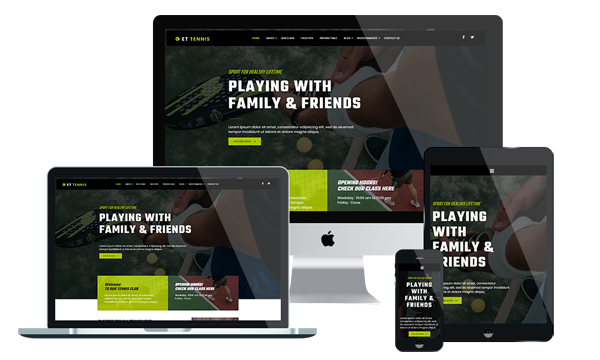 ET Tennis is premium unique Sport WordPress theme that targets for a tennis supply store or tennis academy. The WordPress Tennis Theme is attractive and professional, and allow you full customization to your individual needs. It builds with Genesis Framework, shopping cart support by WooCommerce. Purchase it, then tailor it easily using the wide range of features, widgets and modules from your CMS Panel. Alter the color scheme and choose from Google’s Font bank to suit your preference. The Tennis WordPress theme will be fully responsive and cross-browser compatible, so visitors will be able to access a working version of your site whether they’re using Chrome on their PC or Safari on their iPhone.